Science society organized a field visit on 17th Nov 2015 to “Indian Institute of Science Education and Research Mohali.” The students of M.Sc II enthusiastically participated in this event. 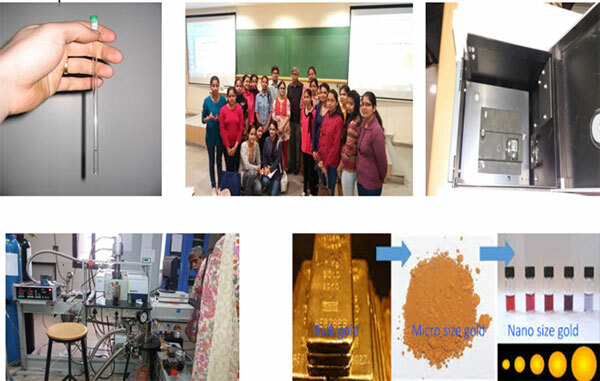 They got a demonstration of working on various sophisticated instruments like Fluorescence, I.R spectrophotometer, table top NMR by Prof. N.Vishwanathan of IISER Mohali. A lecture on “Nanoscience Technology” was also delivered by Dr.Ujjal Gautam of IISER Mohali.